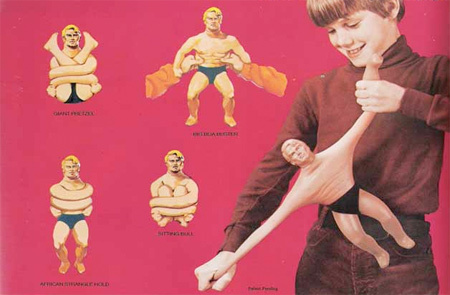 Yes, that Stretch Armstrong. The toy. The weird rubber and plastic toy with the stretchy arms and legs. Into a movie. With Taylor Lautner of "Twilight" fame. Dear Hollywood, can I suggest reading a book once in a while? Dear Taylor, you're almost 18. It's time to make better decisions.